This second class will go beyond the basics and will explore more in depth of the stitches of your machine. You will learn how to program memory as well as explore quilting features of your machine. 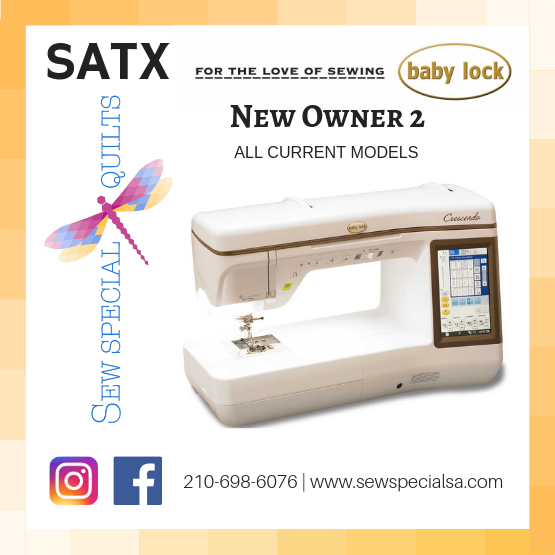 FREE if your machine was purchased at Sew Special Quilts. If you did not purchase from us please call 210-698-6076 with payment .